Beloved by many people, there are tons of dog products you can find on market. 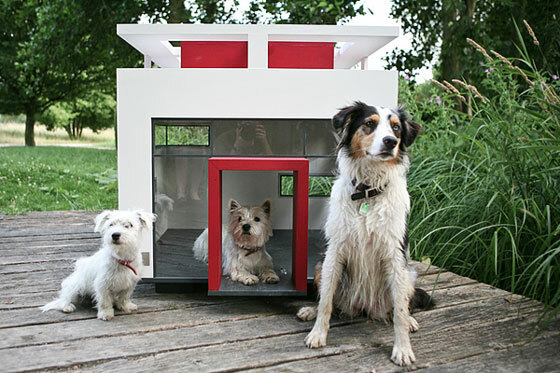 Dog house, as one of the most important product, get attentions from many designers. 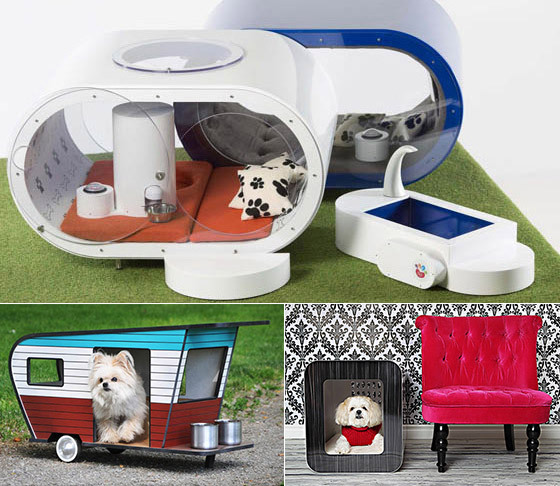 There are many interesting designs, and some are quite high-tech and luxurious, like the Samsung dream doghouse. 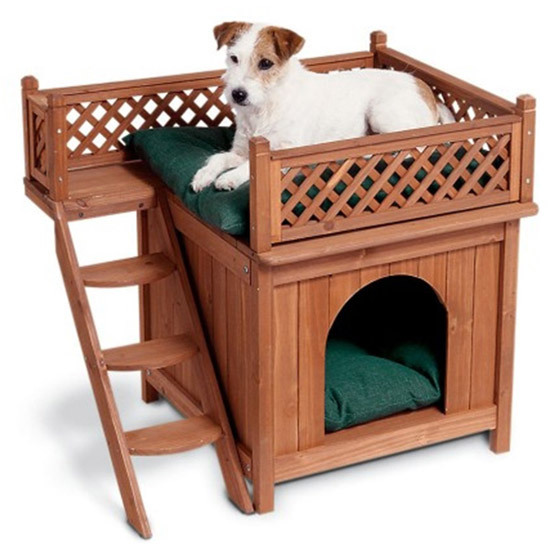 But there are also some reasonable and considerable doghouses, which not only take care of dog, but also the owner. They either provide extra storage space for toys or have a sleek design make it can easily fit in owner’s home décor. Costing a grand $30,600 USD and taking six weeks to produce, the Samsung “dream doghouse” is a one-off design. Modeled by architects to create the most suitable and luxurious exterior and interior as possible, it is aimed for pampered pooches who can enjoy two indoor living areas – one for rest and relaxation, and the other for dining and entertainment. The inside features a “push-to-woof” call bell, themed wallpaper, framed portraits of family and friends, a contemporary skylight and even a operational snack dispenser. On the outside area, the pet can use a specifically designed treadmill and a hot-tub spa. Made from environmentally-friendly materials like recyclable aluminium Stainless Steel and fiberglass, it includes four unique, dog-sized trailers which is fully customizable. 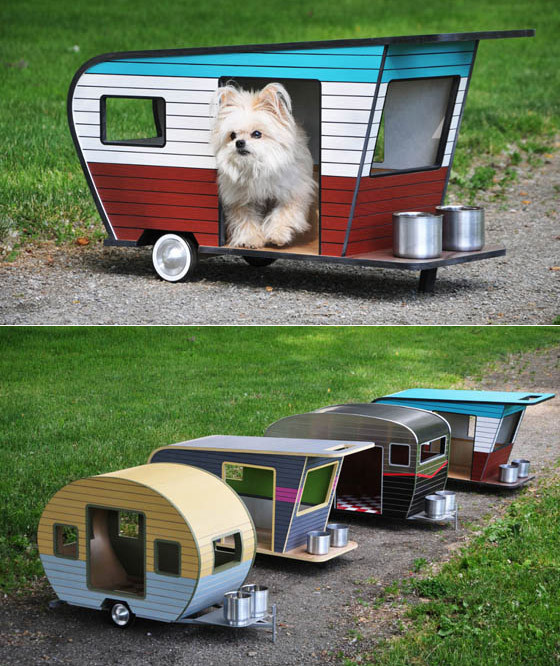 So if you are going out for camp and want to take your dog with you. Following the connotatively Bauhaus architecture spacious Cubix offers lots of light and room for small and big dogs. The apparently free floating roof is a special highlight. Particularly functional: The built in water drain on the roof and the cleaning lids at the back of the house. The generous Alabama makes the dog the lord of the manor. Paying attention to the smallest details the invitingly Southern state house is based on its historical model. 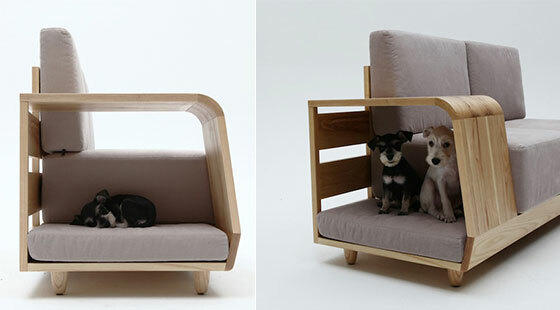 The Dog House Sofa by Korean designer Seungji Mun was created in collaboration with m.pup as the first in a line of an emotional pet furniture brand. As the number of pet owners continues to rise, there is a higher need to adjust living quarters for all types of family members. This sofa, built with solid ash wood and canvas fabric, provides adequate space for people to sit on the main cushions, while pets tuck away in a cozy corner that results in a satisfying communal space for everyone. And if you want to cuddle up with your pet, they can sneak underneath the arm of the couch and pop up into your lap in a quick second. It’s a perfect compromise for the whole family. 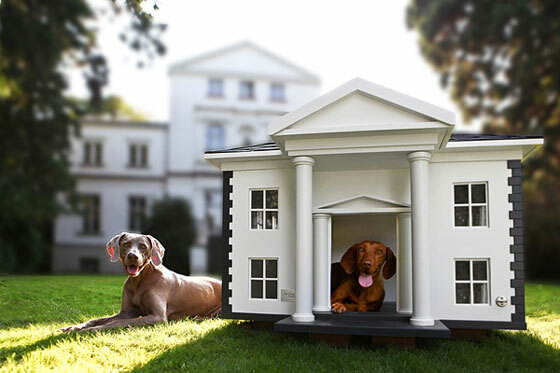 Treat your dog to a home fit for a King…or a Buddy or a Coco. The Savannah Dog House. 63.4W x 40.2D x 41.5H inches. Ceramic dog house or pet bed Castagna designed by Italo Bosa. The Castagna doghouse comes in dark brown and in two sizes. 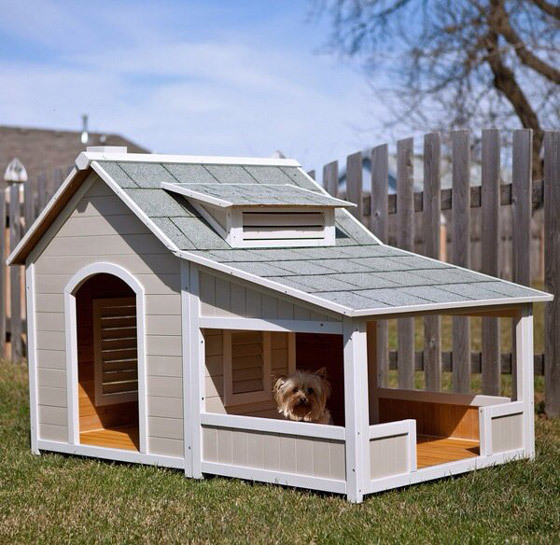 It’s not the biggest doghouse ever, but for small to medium dogs, it’s a perfect back yard addition. New and Improved. 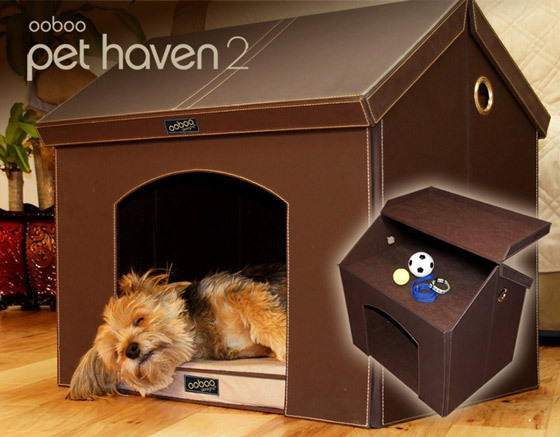 The Pet Haven 2 is an adorable indoor folding dog house made from sturdy fiberboard and faux leather. It includes an improved memory foam bed with a removable “summer/winter” two sided pillow and a travel carry case. Open the roof to reveal attic storage. 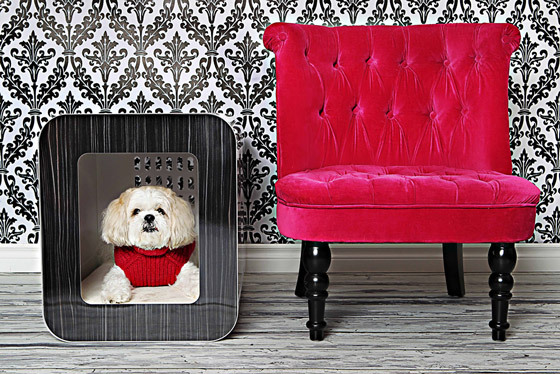 Modern luxury dog house designed to blend into your home décor. 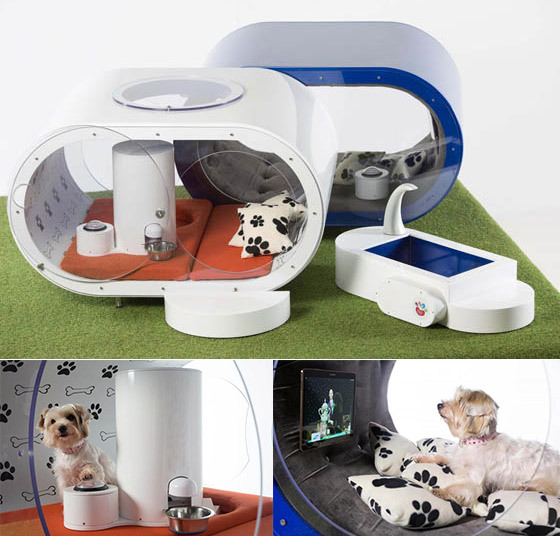 It also provides a comfortable living space for your pet. The cushion is made of Crypton Super Fabric—a cutting-edge microfiber textile technology that delivers lasting protection against stains, moisture, bacteria and odors. It’s easy to clean and maintain and has passed all standard upholstery flammability codes. To help keep your pet cool, the Kooldog House has vent holes at the back to ensure maximum air flow. And non-slip rubber feet on the bottom helps to secure the house on any surface. O’cha: Mini Tea Infuser Help you Make Tea on the Go?